I thought it was time that I finally create a build thread. I'll give a quick history of how I got the car, it's current condition and progress, and plans for the future. I was a massive F&F fan as a kid, and the eclipse was the car I wanted when I saw the first movie. As I neared the age of driving, I soon realized the Skyline, Supra, and all these other cars I loved were not a realistic option. A quick search on craigslist proved the eclipse to be oddly cheap and something I could afford. Back then when I had the understanding of a car through video games, all I knew was that Paul drove it in F&F, so it had to be good and fast. I found a low mile 98 GS at 16. It was very clean and stock, minus a cat-back. I focused on a nice sound setup and wheels once I quickly figured out what the 420a was. Once I realized that the GST/GSX was the route to go, I began looking. Here is a picture I just found yesterday on craigslist of it for sale. 5 years later and the motor is blown and it is trashed. Sits sun rotting. Picked up my current GSX about a year later once I sold the GS. I was still not knowledgable whatsoever in the world of DSM's and had much learning to do. I had never seen the Barcelona Red color before and I fell for it hard. It needed paint correction and maintenance, but was fully loaded and almost all stock minus an eBay 16g, FMIC kit, BOV, and exhaust. 98 with 110k miles. It was stock before that, but the seller just bought all of that and put it on. I had no idea about eBay parts back then. It made the right noises so I was sold. I was lied to in terms of what maintenance had been done so I did overpay, but you live and learn. I took the car to Chad @ 3D Motorsports (Built the 3Dx Evo on 1320) when I first got the car. I had no idea what was going on when it started doing what DSM's do best. Giving a shoutout to him as chad helped me in a big way and got me to where I am today in terms of knowing it inside and out. Fast forward to now about 4-5 years later. Busy with school, so it will see almost all of it's upgrades and changes during the summers. I did not document the cars progress and new part pickups well at at all, so I am going to jump into a current rundown and start from here. When I saw Gofer's E85/68HTA setup and success, I decided to follow a similar route. My goal with the car was to make it the Eclipse I always wanted from the factory, which yes you might say would be similar to the Evo. I wanted to be 12 second quick, reliable, have Evo styled aspects like the brembos and interior, plus have all the amenities. Power : Tuned on V3 with E85. 28psi/Conservative timing. No AWD dyno nearby. Still on MAF. Ported JusMX style HTA68 w/ 20g billet wheel. Holset internal gate, external dump. 3in Exhaust + Vibrant muffler. FP manifold. PR FMIC. Stock block. Head has been cleaned/decked and has new seals, ARP studs, Cometic HG, lifters, and Delta 272's. Fuel : 1000 ID Injectors. E85 450lph. Fuel Lab 818 + -6an lines. Edelbrock/SX performance AFPR. Drivetrain : Stock other than Redline fluids, shifter bushings, and a South Bend DxD Drag. Handling : Ground Control Coilover + Koni Yellow kit. Paul's (99gst_racer) adjustable tubular toe arms. Bronze DR-31 17x8 +35 235/45. Bunk Kumho all seasons that like to spin and I will be replacing. Almost everything is working as it should and nothing is removed. It has full interior, CC, P/S, A/C, all of it. Actually, the antenna motor does not work and I will probably never get around to that. Here is my remaining list of what is left to finish on the GSX - SSL MR+ Edition . I plan to have most of this done within the next 2-3 years. We only have a 1/8 mile here, so I'd like to make a trip to a 1/4 mile and grab a time in the 12's. Double Din with a good speaker setup all around. Cipher Tan Leather seats. My passenger side is coming apart. Repaint Front and Rear Bumper, Hood, and Side Skirts. Strictly CTSV Brembo Kit + Evo Rears. Worst part about the car. RUST. Needs wire wheeled and a new undercoating. Plus strut towers replaced and repainted. Engine bay heavily cleaned, powder coating, new bolts, etc. Find a remote key that will actually program. A/C could use a recharge. From here on out I will update the progress of the car, most of which will be tackling that list. GST with PSI and gofer like this. Thank you man I appreciate that! I don't plan on selling the car as I don't need to, and won't get enough out of it to warrant that. I have a permanent place for storage so it's not a concern for me. They just keep getting more and more rare. I'll post bay pics when I get the chance, it's probably the least polished part of the car and I have let it fall behind on the priority list, so it will be addressed soon . Sub'd for the build. GBR! Dude u have a clean dsm! Resist the urge to chop up and make it into a drag car! Will be going back out for the sun/sunset shots. Need that real Barcelona color to come out. Last night was perfect driving weather. The perfect part of the night all changed as I started heading home from a full night of cruising. As I was nearing my exit on the highway, I started hearing a weird noise from the timing side and then the car just died. From the sound of it the Balance Shaft belt bit the dust and took out the CPS sensor along with it. Now the belt was replaced about a year or two ago with everything else, but the car has not had year round mileage other than the summers as I am away at school. We will see what happened when I take off the timing. UPDATE: Ended up being just the sensor that died out, so I got very lucky. Back on the road! Participated in the Ice Cream Cruise (car show and racing event at local racetrack) here in Nebraska last weekend. Surprisingly I placed in the Top 50 for the car show. There were over 500+ cars there, so it feels good that a DSM can still be appreciated. I also was one of few DSM's there I believe.. maybe three total? Also ended up roll racing most of the day Sunday on the new Speed Density and Southbend FF Ceramic/CC Chromoly setup. Car felt great on the new combo, but in the future l'd like to try twin disk. It's been a long time since I've posted an update, but figured I'd let you guys know I'll be starting to get DSM content out on Youtube if you want to follow the build and other antics there. A buddy of mine has the exact same 98 Barcelona GSX, but with a much larger turbo. We just got it on the dyno, so if you want to see what it made give it a view! FYI he ran out of injector at 6.7k RPM, so you can imagine that number will end up much higher with another 5 or 10 pounds of boost when the 2150's go in. Love the car! I am from SW Iowa and have spent many hours in Omaha, and I'm pretty sure I've seen you at ICC in years past! Appreciate it man! Yeah you definitely have, I've been there every year except 2018. 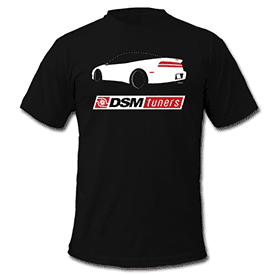 There aren't too many DSM's that roll race so I try to be there to represent. If you see me next time say what's up! I was looking at getting the same cipher tan seats. How do you like them and how do they look installed ? ^ Was going to ask about that as well. I love those seats since they match the OEM color very well. @CountryDSM 2018 was the most DSMs I've ever seen at ICC, I believe there was 4 or 5 of them. I was drooling over them while all my buddies where checking out the 2 McLarens that came .